Prairie Ceramics operates a 14,000sf facility in the San Francisco Bay area dedicated to supplying materials and servicing furnaces and kilns in the materials processing industries. Our technical staff includes two ceramic engineers (from Clemson University & Iowa State) and a chemical engineer (University of California, Berkeley). 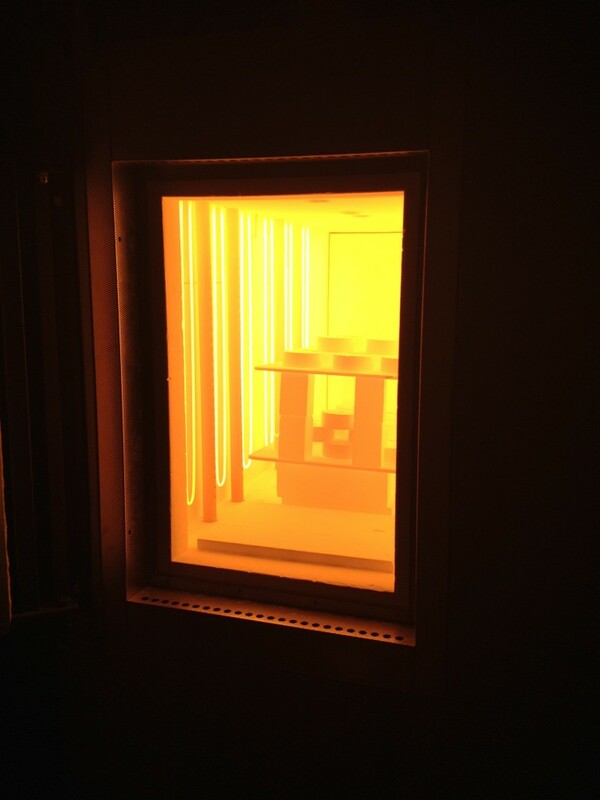 Our experience includes over 20 years of equipment relining experience including extensive work on 1600C+ kilns lined with Bubble Alumina brick, fiber boards, modules, converting brick lined kilns to lightweight fiber linings, and relining both small and large laboratory kilns. We also have extensive experience in converting equipment to different heaters such as from Silicon Carbide to Moly Disilicide elements and troubleshooting system problems in electric and gas fired kilns. PTCR are process temperature control rings. These rings can be used to monitor the consistency of the firing process in a batch or for comparing different batches. Used consistently in the firing process, deviations from a standard are quickly noticed to help prevent out of specification material. The Process Temperature Control Ring, PTCR, is a highly accurate ceramic temperature indicator that records the true heat treatment received by the ﬁred product. PTCR rings take account of both radiated and transferred heat, as well as the effects of temperature over time. It conveniently allows this recorded heat exposure to be expressed as a single number – ring temperature (RT) – which is practical and easy to work with. PTCR rings can be used in both batch and continuous tunnel kilns; they are used in a range of atmospheres. Five different PTCR types are available – in heights of 3.5 and 7.0 mm – covering a range from 850 to 1750°C (1562 to 3182°F). Ring types are identiﬁed by color coding and batch and type numbers pressed into the ring. Originally, PTCR had been developed for in- house application in critical ﬁring processes for advanced electronic ceramic components. Now, the PTCR brings the beneﬁts of easy, accurate kiln temperature measurement to a wide range of industries. 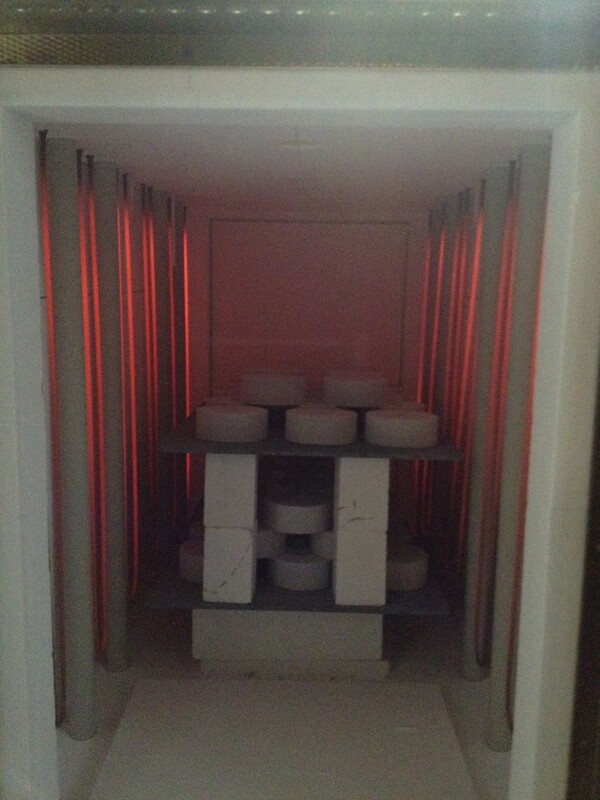 When exposed to heat in the kiln, the PTCR ring contracts – and continues contracting as the top temperature is maintained over time. The degree of contraction is almost linear over the complete operating range of the PTCR, providing a practical measure of the accumulated heat to which the ring – and the ﬁred products – have been subjected. The amount of contraction – the amount by which the ring diameter has shrunk – is measured with a numerical or digital micrometer. This measurement can be converted to ‘ring temperature’ for ease of comparison and correlation to the firing process. PTCR: Quality you can rely on. PTCR is recognized for its accuracy and reliability, and its recently improved technology now offers an unsurpassed accuracy guarantee: a minimum variation of 3°RT. ** This reliability is based on a stringent manufacturing process. PTCR rings are made from a mix of high-grade materials. Their composition is ﬁne-tuned through advanced Design Of Experiments- (DOE) techniques, and the production process itself is controlled by Statistical Process Control. In fact, the entire PTCR manufacturing facilities have been awarded the internationally recognized ISO 9001:2000 and ISO 14001 quality certiﬁcation. Special micrometer mounted on a stand for consistent reading of fired rings. 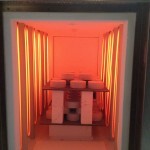 Prairie Ceramics has the largest and most varied stock of kiln furniture in the United States. We carry economical materials for firing pottery to Aluminas for use up to 1780C. Alumina kiln furniture is designed for high temperature thermal shock & chemical attack resistance. Chemistry varies from 90-99% Alumina. Processes include pressing and casting for low and high volume requirements. Applications include support for firing of technical ceramics, pusher plates for continuous furnaces, and structural components of high temperature kilns. Non stock items carry a 4-6 week lead time. Cordierite is typically 45-55% Silica, 35-45% Alumina and 4-8% Magnesia. Porosity is around 25%. Cordierite exhibits excellent thermal shock up to 2300F. 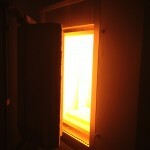 Some compositions of the material can be used up to 2400F. We carry extruded hollow slabs as well as solid tile. Saggers and setters are also available. The most common uses for Cordierite is in firing dinnerware, tile & pottery. Cordierite is also used for kiln car perimeters, posts and deck blocks. We offer a complete line of industrial temperature control products including thermocouple sensors and components. We specialize in very high temperature furnaces, and mainly deal with Type R S & B thermocouples. Type K & J are also available. Fast turn around for emergencies is available. Most commonly used in electric kilns capable of heating to 1800C as hot face linings. Prairie Ceramics has designed & shop or field installed linings for many different brands of furnaces including CM Furnaces, Thermolyne, Deltech, Lindberg, Nabertherm, Keith Kilns, Thermcraft, Mellen and Harper International. 1700C & 1800C board. Alumina insulation board that is rigid and around 25 PCF density. Used for hot face linings for low mass furnaces. 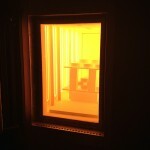 Prairie Ceramics stocks both boards and makes custom parts and insulation kits for furnaces. Alumina blankets. 80 & 95% Alumina. We use this primarily for lightweight linings for operating temperatures below 1600C. These blankets also have good resistance to chemical attack for firing environments such as Piezo ceramics. Alumina modules. Modules made from high alumina fibers used for relining kilns. Prairie Ceramics has done extensive research with our internal kilns on lining materials and material combinations. We are experts in restoring and repairing existing linings. Bubble Alumina Brick. We stock in both 2.5 & 3” sizes. We also carry double bump interlocking anchor styles. For use up to 1800C, these brick have excellent insulating properties as well as high hot strengths. 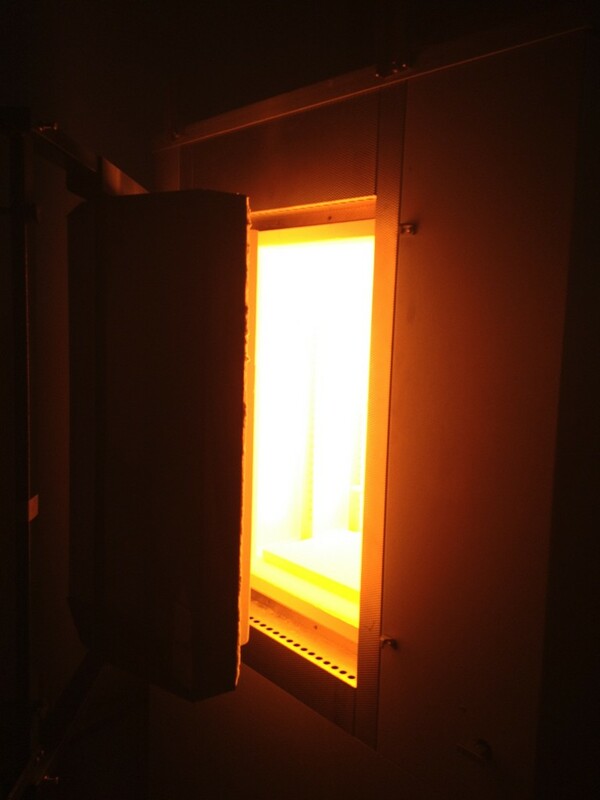 BNZ produces thirteen types of Insulating Fire Brick (IFB) for use in applications from 2,000°F (1,093°C) to 3,200°F (1,760°C). Each type is formulated to meet specific thermal and physical requirements and after firing is machined to precise tolerances. Made from high purity refractory clays and other ceramic raw materials, these IFB contain a carefully graded organic filler which is burned out during manufacture to give a uniform controlled pore structure. The light weight and high insulating value of BNZ IFB make possible thinner furnace walls, improved efficiency and lower operating costs. The high compressive strength of IFB allows for self-supporting structures at elevated temperatures. IFB are compatible with dense fire brick and add strength to the whole construction. Lower heat storage versus dense brick means reduced fuel costs in cyclically operated heating equipment. BNZ IFB are low in impurities such as iron which can adversely affect refractory performance in many applications. They are used in many furnaces operating with a controlled atmosphere. Because BNZ Insulating Fire Brick are machined to precise dimensions, courses can be laid quickly and easily. The result is a stronger, tighter refractory lining resulting in less heat loss through the joints. Recommended for use as primary hot face refractory linings or as back-up insulation behind other refractories in furnaces, flues, kilns and similar high temperature industrial equipment. Size is no obstacle. Most BNZ IFB are available in Zelie Jumbo™ series, which require no mortar joints to produce sizes up to 24″x9″x3″. No longer are there design limitations caused by traditional standard brick shapes and sizes. The nominal cost of Zelie Jumbo™ sizes is more than offset by the elimination of many mortar joints and significant labor savings. Ceramic Fiber blankets are made from Alumino-Silica fibers made by the spun or blown manufacturing processes. Vacuum Formed Ceramic fiber boards are made from Alumino –Silica fibers and are blended with Mullite and High Alumina fibers for higher temperature ratings. Boards & shapes are available in 3 density grades, LD (16-20 PCF), MD (20-24 PCF) & HD (26-30 PCF). These boards are sanded on one side for tight thickness tolerances. Available in tile, beams, & shapes, Silicon Carbide has excellent thermal shock & heat transfer properties. Used in Applications ranging from Technical ceramics, whitewares, pottery and Copper melting. Available in 99.5 & 99.8% Alumina. Please see our information on slip cast materials. 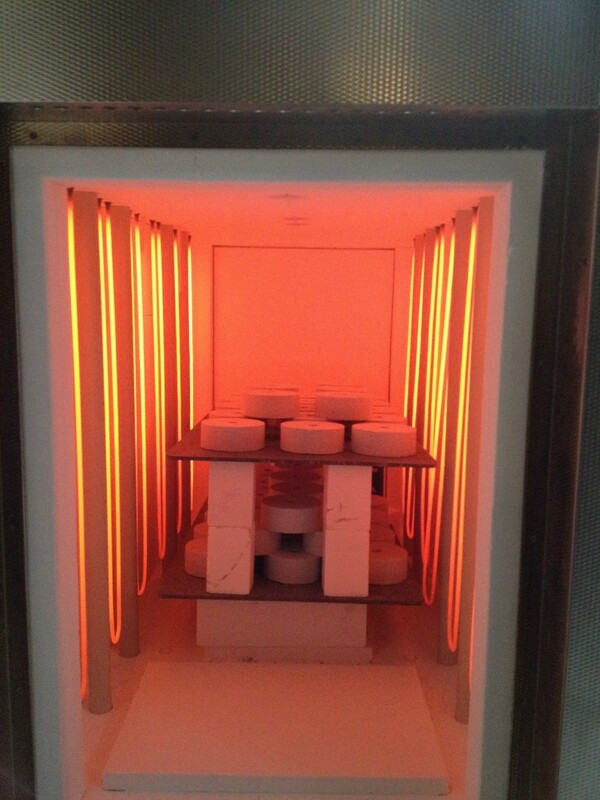 We maintain a variety of kilns to provide toll firing mainly for research applications. Nabertherm N150 ; 1280C, 150 liter capacity. Approximately 14″ wide x 20″ deep x 20″H. Nabertherm HT450 ; 1750C, 450 liter capacity with air preheat system. Approximately 19″ wide x 31″H x 45″ deep. 1600C Elevator Furnace. 18″ x 18″ x 22″H setting area. Deltech 1650C TH363630 – Top hat 36″ x 36″ setting area x 30″H. 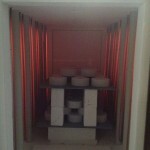 Depending on your firing needs, we also have other kilns available that could be set up for toll firing.